After a solid decade of business in West Little Rock, Vesuvio Bistro has closed for good. The restaurant ownership thanked its fans and staff on its Facebook page, saying it was time to work on other business. Vesuvio first opened at the end of 2008 at what is now The Burgundy Hotel. The restaurant moved after five years to the former El Chico location on Rodney Parham Road. At its best, Vesuvio delivered some of the best Italian food in the city and a wonderful venue for date nights and special occasions. It certainly leaves a void in our food scene; there are less than a handful of locally owned Italian eateries in Central Arkansas remaining, including Graffiti’s, Bruno’s Little Italy and Zaffino’s by Nori. Very few restaurant openings have been more anticipated than Cathead’s Diner, which has now set May 1 for its tentative opening date. Donnie Ferneau (Good Food by Ferneau, 1836 Club) and Kelli Marks (Sweet Love Bakes) have been building out the restaurant’s space at 515 Shall Ave. in Little Rock’s East Village for months now. Ferneau and Marks have not released a full menu yet, but in appearances around town they have featured freshly made donuts, biscuits, ribs, fried chicken and plenty of other Southern standbys. 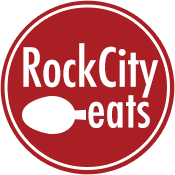 Needless to say, we at Rock City Eats will be all over it leading up to the grand opening. For now, you’ll have to settle for our preview featuring some delicious-looking pics. 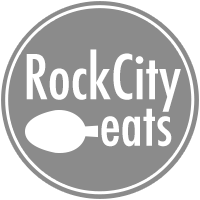 Also coming to East Village is one of Little Rock’s best BBQ businesses. Count Porkula, a food truck in operation for nearly two years now, will be stationed at 1212 E. 6th St., in the building adjacent to what is currently Rock Town Distillery. Count Porkula will share the space with a new beer garden and outdoor dining area called Rail Yard. All of this is still months away; by then, Rock Town Distillery will have completed its move to the SoMa neighborhood. For now, you’ll still be able to find Count Porkula around town this spring and summer at food truck events and regular lunch service. It’s been a long time since I can remember Little Rock’s beer fans as excited as they are right now. That’s because Delaware-based Dogfish Head Craft Brewed Ales is making its long-awaited debut in the Natural State next week. For those who don’t follow the beer world closely, Dogfish Head is one of the most revered, sought-after breweries in the country. Perhaps their most famous brews are the “minute” IPAs. Named 60, 75, 90 or 120 Minute IPA, each brew takes its name from the length of time that the ale is continuously hopped during the brewing process. Very few breweries even attempt this; most beers are hopped once or twice in short intervals. Events start Tuesday with the Dogfish Head crew visiting Flying Saucer, as well as bars in Argenta and SoMa. On Wednesday, the 120 Minute IPA goes on tap at Proof Bar + Lounge in Hillcrest. And on Thursday, you can find release events at The Pizzeria, Midtown Billiards and again back at Flying Saucer. A week and a half ago, Southern Table won the inaugural Local Food Legends competition at Heifer International. The competition had contestants select produce from New South Produce Cooperative and make their own creative, delicious takes on the fruits and vegetables. I was honored to judge the contest, and Southern Table’s entry of Carrots Three Ways was my top pick of the day. And now, it’s on the menu for a limited time! Starting today, you can try Margie Raimondo’s carrot flan, carrot cake and (my favorite) carrot top pesto as a limited-time menu special. Trust me when I say, this is something you absolutely need to try. Southern Table is open for lunch and dinner starting today and going through Sunday. Crawfish season has come to Central Arkansas. Check out our lineup of five restaurants that can help satisfy your mudbug craving this spring.